Youth Leaders, Staff, and our Board of Directors work together to help ARISE grow and realize our vision of a healthy, thriving Southeast Asian community in Rhode Island. 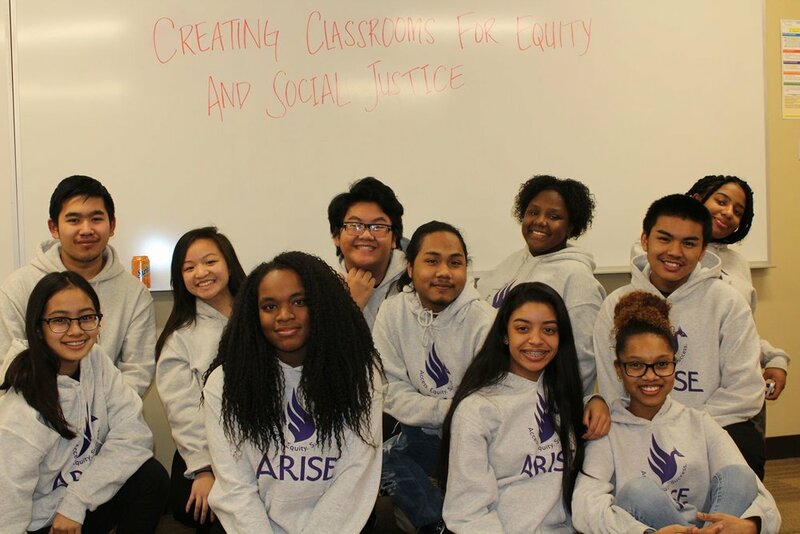 Chanda Womack is the Founding Executive Director of the Alliance of Rhode Island Southeast Asians for Education (ARISE.) Chanda is a fearless and tireless advocate for equity and social justice. Chanda provided the inspiration and vision for the creation of ARISE as a non-profit devoted to educational access, equity and success. She is unapologetic for what she stands for and how she carries out her work. Her passionate, positive and proven leadership in the various organizations she serves is universally evident. Chanda has over a decade of experience in grassroots community advocacy and educational justice work. Her leadership and movement building has garnered local and national recognition for ARISE and Rhode Island. In 2017, Chanda was the recipient of NAACP Thurgood Marshall, the YWCA's Women in Achievement Award and the Providence Youth Student Movement POWER Award. Chanda was conceived and born in a refugee camp in Thailand, immigrating to the United States in January of 1981 with her family. Chanda is married to Tiger Womack her husband of over 10 years and has a daughter Amaya and son named Justice. She is a product of the Providence Public Schools and earned a B.A. degree from the University of Rhode Island in 2004. She has a Masters of Public Administration also from the University of Rhode Island as well as a graduate certificate in Non-Profit Leadership from Rhode Island College. Ngan was born in Vietnam and immigrated to Minnesota when she was eight years old. She graduated from Macalester College in May 2017 with a Bachelor of Arts in American Studies and Educational Studies. She went on to receive a Masters of Arts in Teaching (MAT) in History/Social Studies at Brown University. She is certified in 7-12th Secondary History/Social Studies by the state of Rhode Island. Throughout her time as an undergraduate, she taught math & social studies at LearningWorks at Blake, served as a College Bound coach for Breakthrough Twin Cities, and founded the Asian Pacific Islander Americans in Coalition (APIAC) at Macalester. As a graduate student and a new community member in Rhode Island, she student-taught at Dr. Jorge Alvarez High School, worked as part of the Ethnic Studies curriculum revision team for Providence Public Schools, and served as an instructor of SAT Prep, and curriculum developer/instructor of Ethnic Studies for ARISE. Her curriculum is community-based and healing centered, and her practice is informed by culturally responsive and culturally relevant pedagogy. Rosey Ok identifies as Southeast Asian Cambodian, a mother, a continuous learner, community leader and -- before I forget to mention, quoted from herself-- “half-unicorn and all-human. No error, all terms are used intentionally.” She is a daughter of Southeast Asian refugees who was born and raised in South Providence, RI. Her passion to uplift and empower youth for educational and career success aspires from personalexperiences overcoming adversities throughout her childhood into adulthood. Rosey is a firm believer in healing communities by bringing forth a sustainable and productive impact using holistic approaches. She recognizes the power of self-love to spread love, in which the work begins with and within yourself. Annajane supports grant writing and evaluation work for ARISE. In this role, Annajane writes grants, creates and analyzes program evaluation tools, and supports the vision and growth of Annajane brings an interdisciplinary background of public health, education, data and evaluation, and social justice to ARISE. Annajane cares about building a just world where everyone can live well; she aims to use her skills and time to work with others to support that vision. In addition to working with ARISE, Annajane is the Executive Director of Protect Families First, an organization that aims to raise awareness about the harms caused by the war on drugs and advocate for practices that are more compassionate than mass incarceration. She also volunteers with several local organizations focused on racial justice and prison abolition. She is a lover of strong coffee, free art and music events, and bike riding in the sunshine. Deidra Montgomery is a trombonist, facilitator, educator, and authentic leader with a professional and educational background in the arts and a personal investment in intersectional racial justice. At ARISE, Deidra researches and writes grants to support the organization's operations and innovative programs. 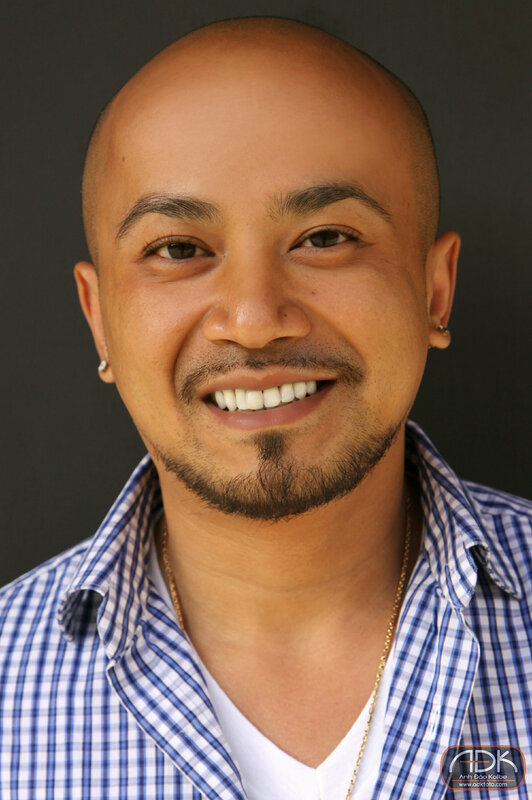 Sarath Suong is a co-founder and Executive Director of Providence Youth Student Movement (PrYSM), a community based organization whose mission is to mobilize queer Southeast Asian (SEA) youth, families, and allies to build grassroots power and organize collectively for social justice. Born in the Thai Refugee camp Khao I Dang, his family fled Cambodia during the civil war and eventually immigrated to his hometown of Revere, Massachusetts. To cope with the violence, pain, and injustices facing Southeast Asians, he became a community organizer, centered around the unique intersections of race, class, gender, and sexuality. Sarath moved to Providence, Rhode Island in 1998 to attend Brown University. He majored in Ethnic Studies with a specific focus on Southeast Asian immigration, resettlement, and resistance. Sarath loves his family, friends, young people, and is the biggest X-Men fanatic you’d ever meet. Todd D. Flaherty is a career educator spanning 45 years as he has served as a teacher, coach, principal, district administrator and state education leader as Deputy Commissioner of Education for twelve years. He also served as President and CEO of The College Crusade of Rhode Island, RI's largest and most comprehensive college readiness and success program from 2009-2016.He has a long history of being a passionate advocate of public education, equal access and equity for ALL KIDS. As a believer in team work and the strength of collective action, Todd and his organizations have received numerous recognition and awards. He also has served as President of the Rhode Island Superintendent's Association, Senior Policy Advisor to the national College and Career Readiness and Success Center and Deputy in Residence to the Council of Chief State School Officers in Washington D.C. He holds a B.A from Syracuse University, an M.S. from Alfred University, and an Ed.D. from Boston University in Policy, Planning and Administration. In 2012 Dr. Flaherty was recognized by the Syracuse University Varsity Club, as a Letter Winner of Distinction for his public and community service. Ducha Hang is Hmong-American and a native of Providence, Rhode Island. Both of her grandfathers were soldiers recruited by the US to fight in the Secret War. As a result of the war, her family came to the United States in the 1970s as Hmong refugees. Understanding the history of her family's journey to the United States has been the catalyst for her interest in supporting the advocacy and advancement of the Hmong community. Ducha’s passion has also been with education and education reform. Dr. Hang received her Master’s Degree in Education and School Counseling from Providence College. After receiving her graduate degree, she pursued a role in first year experience, an initiative in higher education that supports the success, transition, and resilience of first year students in college. Ducha has served approximately 13 years as a higher education administrator, and her roles have encompassed areas in the first year experience, academic advising, program development, assessment, student success, student engagement, and leadership. In May of 2015, she received her Ph.D. in Education from the University of Rhode Island and Rhode Island College. Her dissertation is a phenomenological study of the experiences of Hmong students in college and details how Hmong students make sense of their experiences in college. She formerly served as the Assistant Vice President for Student Affairs and the Director of the Center for Student Development at Salve Regina University in Newport, Rhode Island. Currently, Dr. Hang serves as the Associate Vice President for Student Services at Rhode Island College. Ducha loves spending time with her family, trying new restaurants, and creating art. 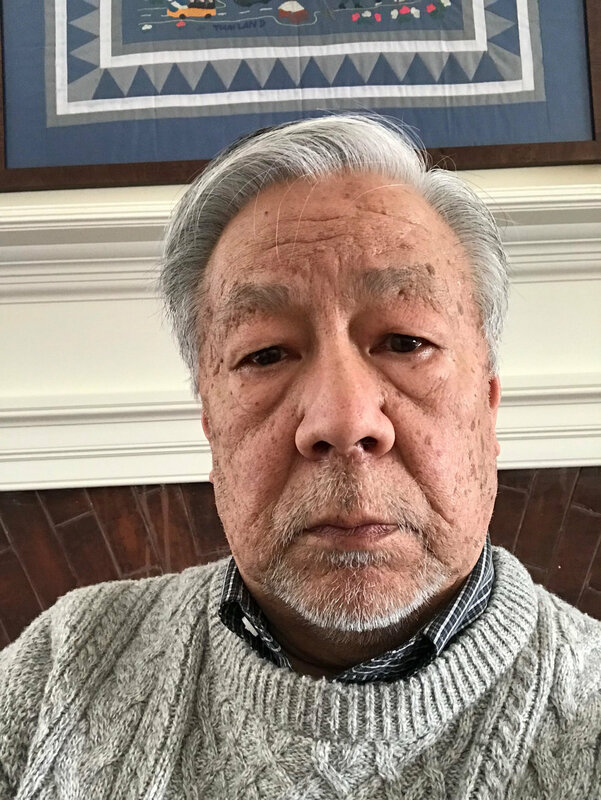 Robert Lee teaches Asian American Studies in the American Studies Department at Brown University. Born in Oakland California, Bob grew up in Washington D.C. and Taipei, Taiwan before returning to California for college. He has taught at the University of Minnesota, Twin Cities, and at the Chinese University of Hong Kong. Before joining the American Studies faculty full time in 1989, he was director of Brown’s Third World Center (now called the Brown Center for Students of Color) and instrumental in establishing the Center for the Study of Race and Ethnicity in America. Bob has been a member and chair of the RI Advisory Committee to the US. Commission of Civil Rights and served as board member of the Providence Student Youth Movement between 2007 and 2017. Angelica Mey came to America as a refugee at the age of 1 with her adoptive mother. Growing up, she experienced firsthand the struggles of a single parent household with a language barrier in an unknown country. She watched her mother persevered through all the challenges that came her way. This strong woman who survived the genocide, had raised Angelica on 2 core values which she lives by to this day, Education and Respect. With a background in accounting and finance, she has extensive experience in corporate taxation (IRS certified) and financial analysis for multi-million dollar companies which includes forecasting, budgeting, month end as well as year-end financial preparation and reporting. She has served as Treasurer, Finance Chair, as well as Asst. Treasurer on other non-profit boards for over 5 years. In the future, she hopes to adopt a child from Cambodia and sponsor an orphanage to pay forth the opportunities and advancements that she was given. John M. Murphy, Sr. is the Founder, President and Chief Executive Officer of Beara Capital, LLC, a specialty finance company and non-bank lender that focuses on specialized lending products offered by the U.S. Department of Agriculture (USDA) and the Small Business Administration (SBA) and also engages in a variety of other complex commercial real estate lending transactions. Always connected to public life, Mr. Murphy served on the Providence City Council from 1967-1975, and was an active member of the Democratic State Committee for many years. Mr. Murphy has served on numerous corporate boards, business councils and charitable organizations, including the following: Chairman of the Major Gifts Committee of the surgical unit at Fatima Hospital; Board Member and Charter Member of RISE (Rhode Islanders Sponsoring Education), an organization that provides educational advocacy and private-school financial support for children from lower-socioeconomic, high-risk families; and Board Member and Board Chairman of the Reverend E. Naomi Craig Scholarship Fund for low-income Providence youth. Mr. Murphy is a former member of the President’s Council at Providence College. Mr. Murphy is also a former member of the advisory board for St. Jude’s Children’s Hospital in Memphis, TN. In 2003, Mr. Murphy supported an effort in Ireland to create a telecommunications network to grant rural hospitals access to St. Jude's research libraries and databases in order to properly diagnose patients. This “telemedicine” initiative brought together politicians from the divided Republic of Ireland and Northern Ireland for this noble cause. 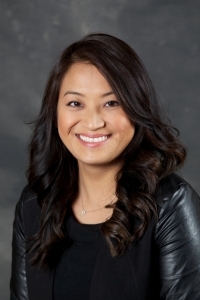 Annie is a Laotian-American born in California and has resided in Rhode Island since 1998. She is a first generation college graduate and U.S citizen while her parents were refugees that escaped to the U.S from the war in Laos. Annie is passionate about the environment, humanitarian and social justice efforts. She received her Bachelor degree in Communication Studies with a minor in Business Administration. In 2016 she received her Master in Public Administration with a concentration on Environmental Sustainability degree. Annie currently serves as a Program Manager of the Renewable Energy Fund under the Rhode Island Commerce Corporation where she could use her energy and efforts into aiding in progressing the environmental initiatives within the state. Part of her goals in life is to have a helping hand in making a positive difference in education, the youth, society and the environment. She believes any effort big or small counts. Annie is a foodie at heart, enjoys spending time with family and friends, and traveling the world as much as her vacation time allows!